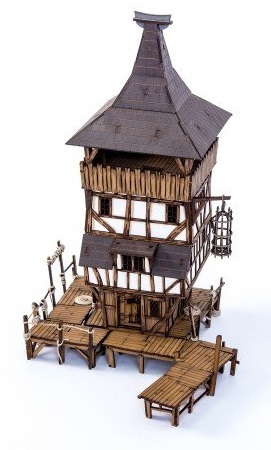 A guard tower for Esgaroth or any other lacustrine and fantasy city in 28mm, is on sale for £ 60 at 4Ground. That's nice looking. Plus a vocabulary word "lacustrine"! An outstanding and useful word it is!